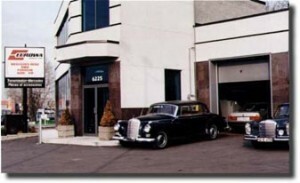 Since opening in 1977, Eurowa provides repair and maintenance of European automobiles like Mercedes, Audi, BMW, Volkswagen and Porsche to Montreal area clients. We painstakingly rebuild engines and transmissions for all German cars, as well as Saab, Volvo, Jaguar, Range-Rover and some Japanese or American models. A factory authorized distributor for ZF, our extensive inventory of ZF parts and specialized fluids are shipped to transmission repair shops in Canada and internationally. 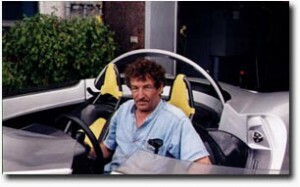 Owner Franz Gstrein began his career as an apprentice at Mercedes-Benz and Volkswagen factories in Germany and later honed his professional skills as a licensed mechanic for Mercedes-Benz, VW-Audi and Porsche dealerships in Austria, Germany, England and Canada. He holds numerous international certifications and designations, and is recognized as an expert in automatic transmissions, providing advice to independent repair shops, and has given technical seminars for le Groupe A.R.T. Automotive Service Excellence (ASE) Certified Master Automobile Mechanic, Machine Shop Technician.